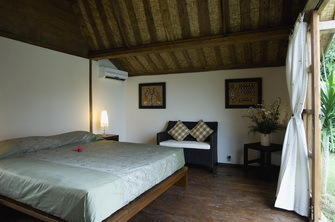 Located in Kerobokan, 8 minute driving to the Petitenget beach. 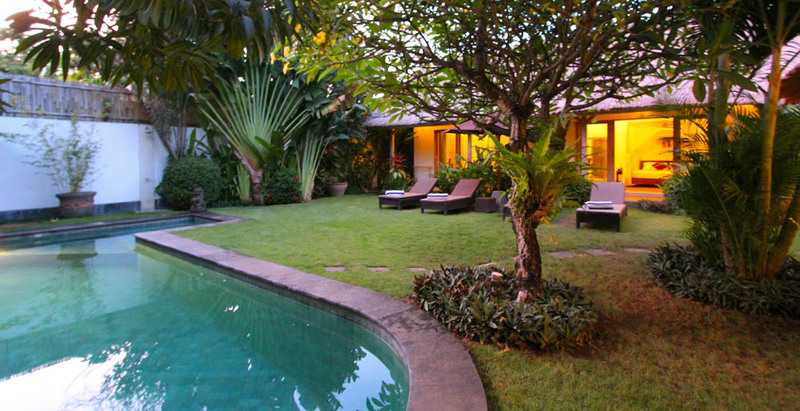 Villa Joglo is one of our affordable luxury property for rent in Bali. 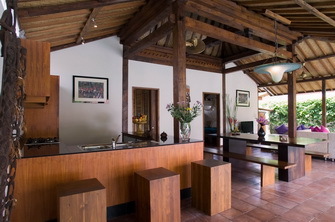 This 3 bedrooms house made a traditional java house's style which named Joglo. Set with the private pool, fully furnished, open air lounge, dining area with stereo player, fully equipped kitchen with the contemporary and luxury designed make the villa Jogloan ideally place to rent. 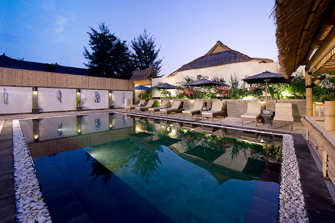 Feel the cozy and calm atmosphere with daily service as housekeeping, discreetly gardener and pool attendant, nightly security to ensure your quiet. 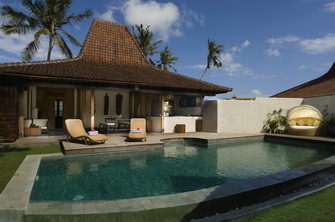 The Villa joglo guarantee the best offer of calm and secure service. 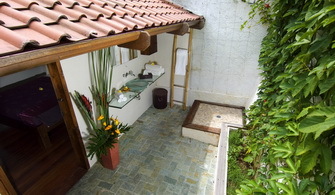 Unlike hotel service, the joglo dedicates you the trained staff in housekeeping, gardener, keep the pool clean and secure your stay in the night time. 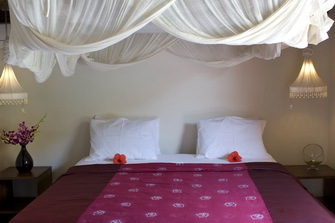 Facilitated with three bedrooms, AC controlling in each rooms, hot-cold shower, satellite TV - DVD player with stereo, fully equipped kitchen, ethnicsâ�� interior design. 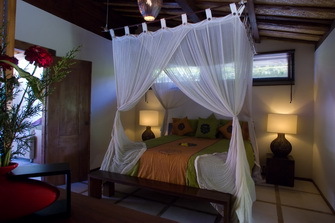 Detail of the villa is a custom design to ensure your comfort during the stay. Perfect for family or friends team who search the adventure in Bali and love touring around Bali. Airport transfer is included as warm welcome upon your arrival by the team of Balijetaime and the house staff. Free welcome drinks and souvenirs are complimented as well upon arrival and resourceful villa book is available for things to do and where to go to discover the island. 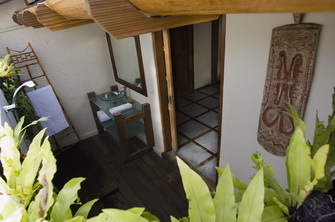 Reserve your stay at the joglo and make your holiday in Bali more pleasant. Very good stay in the villa. Reasonable price for high quality of property. We appreciated the welcome drink and warm greeting upon our arrival. 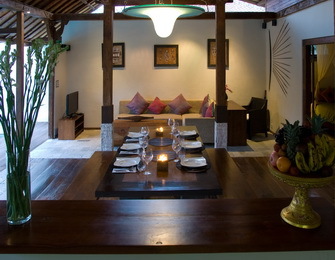 Joglo was very nice villa and located near to many nice restaurants. Beautiful villa! Very comfortable. Have a great time and warm weather . I wanted to thank you for your hospitality and your kindness and especially for us to quickly find a villa. 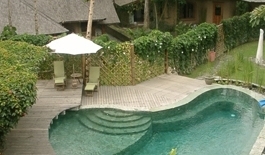 Villas Joglo being really very good! I would not hesitate to get in touch with you during my next trip!